Joint Range Technical Services (JTECH) – Modern Technology Solutions, Inc. Working with our customers at the Air Force Test Center (AFTC), Nevada Test and Training Range (NTTR), Utah Test and Training Range (UTTR), and China Lake Electronic Combat Range (ECR), MTSI provides extensive support and critical expertise to numerous U.S. Government flight test programs to help these programs execute effectively and safely. A sampling of supported systems includes the joint and U.S. Air Force fighter community (F-35, F-22, F-16), U.S. Air Force bomber fleet (B-1, B-2, B-52), Global Vigilance program (e.g., Global Hawk and other unmanned aerial systems (UAS)), unique multi-mission aircraft (CV-22), and other programs. MTSI flight test staff supporting these ranges include over 50 retired test pilots, and nationally recognized subject matter experts with uniquely experienced engineering and analytical expertise. MTSI is involved in operational and developmental test and evaluation (OT&E, DT&E) as well as serving in critical roles in executing both flight science (envelope expansion) and mission systems missions. MTSI support includes generating test plans, conducting modeling and simulation, performing engineering-detailed analysis, and creating safety packages. In addition to test support, MTSI provides nationally recognized subject matter experts in electronic warfare (EW), radio frequency/infrared countermeasures (RF/IRCM), and radar cross sections. In addition MTSI provides B-1 and F-15 WSOs and backseat F-16 FTEs flying chase support. 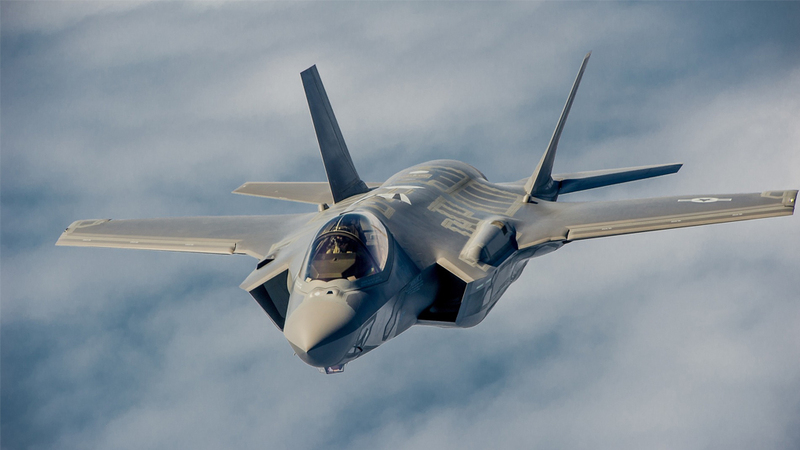 For example, MTSI’s support to the F-35 Flight Test program resulted in effective execution of this large- scale test program, providing the customer with many instances of program savings. This included helping the F-35’s program goals of initial operational capability for the U.S. Marine Corps’ STOVL (short take-off and vertical landing) variant with Block 2 operational flight program and later the U.S. Air Force with conventional take-off and landing (CTOL) variant and U.S. Navy with the carrier variant. Because of the senior level leadership and experience of MTSI staff, our technical advice and guidance provides credentials not normally available to assist with the program plan and reduces schedule delays in ultimately fielding the new 5th generation F-35 aircraft to the warfighters. MTSI has been honored with Electronic Warfare Engineer of the Quarter award, as well as many team awards for Mission Effectiveness/Radar Cross section testing, for our commitment to the F-35 flight test program.